"Itadakimasu" is an essential phrase in your Japanese vocabulary. It's often translated as "I humbly receive," but in a mealtime setting, it's compared to "Let's eat," "Bon appétit," or "Thanks for the food." Some even liken it to the religious tradition of saying grace before eating. But the uses for itadakimasu extend far beyond food. And though its roots are ancient, saying the phrase before meals is a fairly recent Japanese custom. Get ready to dig in. You are going to learn the history, uses, meaning, and philosophy behind itadakimasu. to receive; to get; to accept; to take (humble). This explains why you say it before you eat. You're "receiving" food, after all. Itadakimasu (and its dictionary form itadaku 頂く（いただ　）) comes from Japan's roots in Buddhism, which teaches respect for all living things. This thinking extends to mealtime in the form of thanks to the plants, animals, farmers, hunters, chefs, and everything that went into the meal. Both are correct but the itadakimasu kanji 頂 is more common. Knowing the itadakimasu meaning is one thing, but you still have to learn its pronunciation and when to use it. The audio clip above will give you a model for the itadakimasu pronunciation. But to really understand how to pronounce this word (and all other Japanese words), you should learn how the Japanese syllabary works with our hiragana guide. Saying itadakimasu before a meal is a significant piece of Japanese etiquette, so it's important to learn how to do it right. Usually everyone will say the phrase together, but it's also normal for each person to say it individually as they begin eating. Below are Vines that show these steps in action, with slight differences in body language and enunciation. 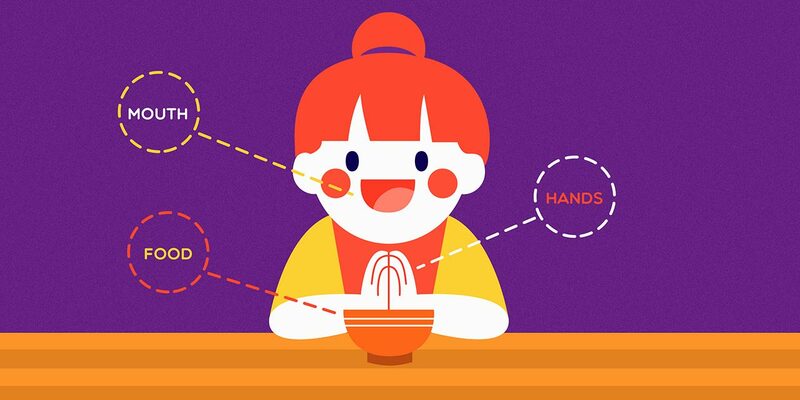 How you perform itadakimasu will depend on the situation and the people you're eating with. So use common sense and adjust your approach accordingly. The only major difference in any of these examples is the use of hands. In the casual demonstration, you'll notice Mami doesn't put her hands together. Other than that, the differences are subtle and won't impact the people around you much from situation to situation. Performing itadakimasu at a meal is not like tea ceremony. As long as you follow the steps above and match the politeness of people around you, you'll be fine. As we mentioned earlier, itadaku means "to receive" or "to accept." But it's not a direct translation of the concept in English. There are certain situations where it's best not to use itadakimasu. You can use itadaku when you're offered an actual physical thing. It’s like you are saying, "I’ll take it," in a polite way. Gloves, video games, tire irons, wigs, replacement basketball nets, you name it. 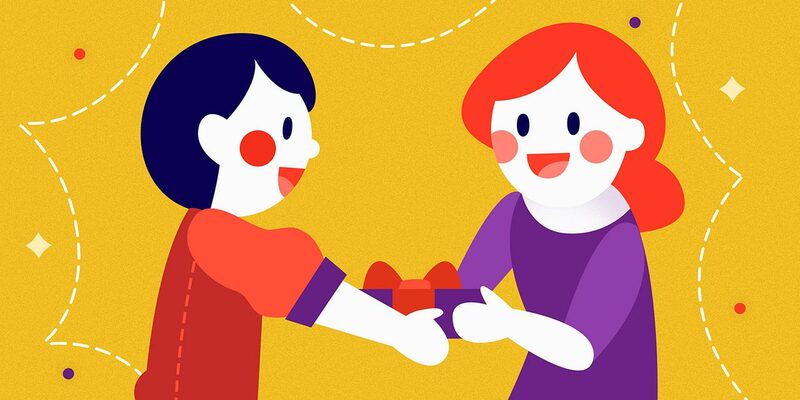 If it's a physical object being offered to you, you can use itadaku to receive it. A: Do you want this fish? B: Sure. I’ll take it. Thank you. You can use itadaku when you're offered an actual physical thing. It’s like saying, "I’ll take it," in a polite way. Be aware of your politeness level when using itadaku. Even though it's a more polite version of morau 貰う（もら　）, it's not much more polite if you don't conjugate the plain form (itadaku) into the polite form (itadakimasu). They all mean "I'll take it," but at much higher politeness levels than itadakimasu. You probably don't want to use these unless you're receiving a gift from the Emperor or Shigeru Miyamoto. What if you're offered something non-physical, like advice, a hug, a ride to the airport, or an opportunity? Short answer: Don't use itadakimasu to receive non-physical things. Long answer: You can use itadakimasu to ask for non-physical things (in very specific ways). I got advice from the Great Teacher Koichi. I've decided to follow the Great Teacher Koichi’s advice. I want a ride to my house. Yesterday, I got a ride to the station from Viet. Could you hug me, please? If someone offers you a hug, don't open your arms and say "itadakimasu." That's weird. But even this is weird, situationally speaking. And dating your boss is probably against company policy. You don't want to get in trouble with HR. I’m not good at writing, but I’m (humbly) going to write about what happened to me on that day. Okay, I’m (humbly) going to sing now. As you can see, using itadaku can get pretty nuanced. The more Japanese you learn, the more you'll understand how and when to use words like this. But for now, this is enough to get you started. When you grab chopsticks, you should thank all nature and living things, the Emperor, and your parents. The kanji for itadaku 頂 means mountaintop. The original meaning of itadaku is "to put something over the head" or "to wear on one's head," playing off the upward-ness of the mountain motif. It wasn't long before the word would become associated with receiving things, especially food. Buddhism came to Japan during the Asuka period, bringing with it a "raising up" action when receiving items from people of high status, or when taking food or drink originally offered to gods (osagari お下がり（　さ　）). 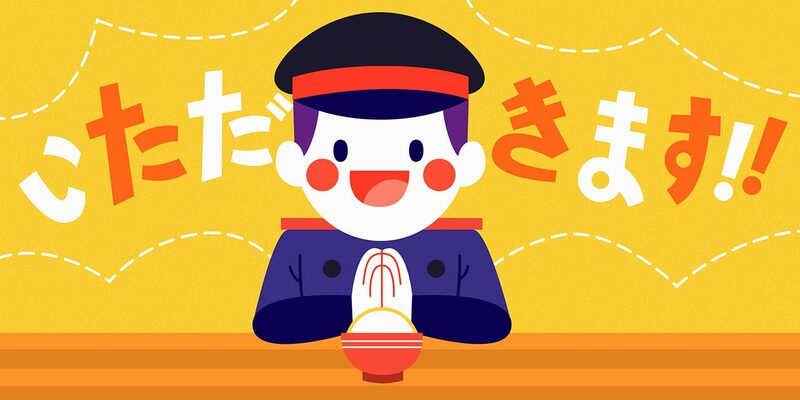 So naturally itadaku, a verb meaning to raise things above your head, started to be used as a humble form of words meaning "to receive," like morau 貰う（もら　） and choudai suru 頂戴する（ちょうだい　）. After this book was published, the idea of giving thanks before a meal was spread by the Jōdo-shinshū sect Buddhism. Though the monks did a good job popularizing the habit, not everyone in the country got the memo. A 1983 study by Japanese historian Isao Kumakura revealed that "itadakimasu" remained a regional practice until the early twentieth century. He surveyed people from all over Japan who were born in the Meiji and Taisho eras, and asked them about their habits growing up. According to the results, not all of them said "itadakimasu" before eating. So when did the mealtime phrase become a nationwide custom? According to a book by Shoyo Yoshimura, it took hold during the early Showa era when education was governed by Imperial Japan. Teachers made students thank all living things, the emperor, and their parents before eating. They would end their thanks with "itadakimasu." This pledge was called shokuji-kun 食事訓（しょくじくん）, from 食事（しょくじ） meaning "meal" and 訓（くん） meaning "lesson" or "doctrine." It is very similar to the passage from the Koukou Michibiki Gusa mentioned earlier. Even though the origin of itadakimasu stretches back to the Asuka period, its current form has only been around for about 75 years. That means there are still people alive today who remember a time before Japan used itadakimasu nationwide. Who knows what the next evolution of this custom will be? 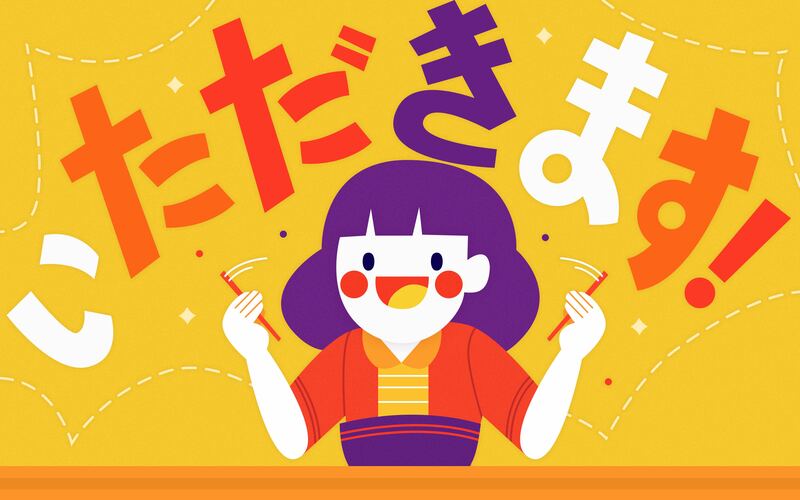 64% of Japanese people put their hands together when saying "itadakimasu"
1% put their hands together without saying "itadakimasu"
Apparently, the differences in behavior depend on region. Remember how we said "itadakimasu" was originally spread by the Jōdo-shinshū sect of Buddhism? The followers of Jōdo-shinshū were taught to put their hands together and slightly bow while saying "itadakimasu." Hiroshima is well-known for its high concentration of Jōdo-shinshū temples, so much that followers from West Hiroshima even have a special name, aki-monto 安芸門徒（あきもんと）. 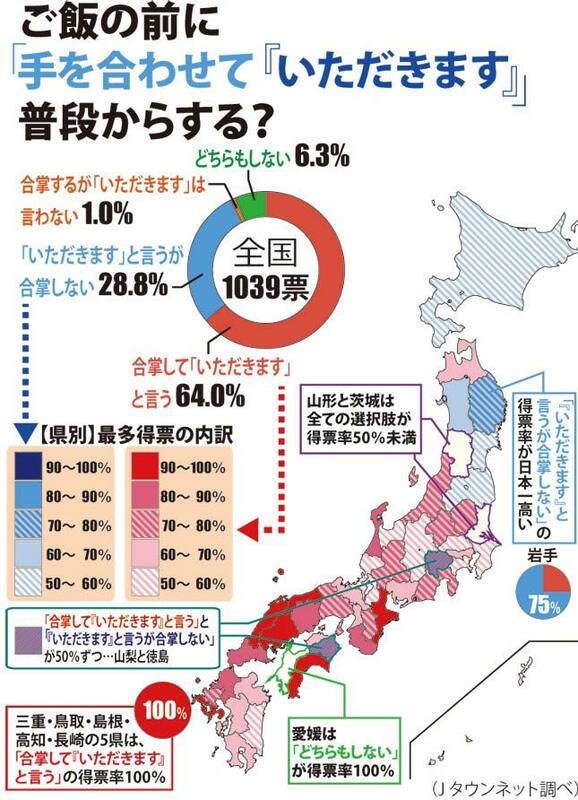 In the survey, 92% of people in Hiroshima said they put their hands together (note the deep red color of Hiroshima on the map). In fact, the entire western section of Japan is colored red, so apparently the past work of Jōdo-shinshū is having a lasting impact on the behavior of people to this day. Seven Gods live in one grain of rice. This emphasizes the idea that each bit of food is important. The heart of the itadakimasu ritual is one of gratitude and reflection, even if only for a moment. In this light, starting a meal with "itadakimasu" implies you'll finish all of it. Something gave up its life for the meal, so it can be considered disrespectful to leave big chunks of food behind. 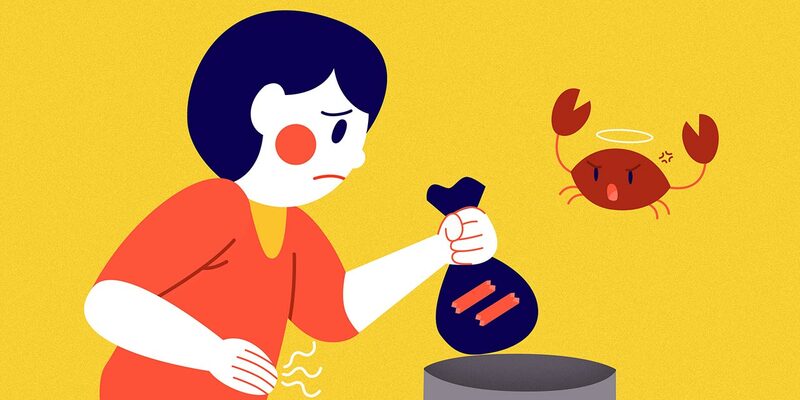 Next time you see one last grain of rice in your bowl, don't be afraid to spend time trying to get it out. But as we've seen, the gratitude of itadakimasu reaches beyond the dinner table and into our everyday lives. Whatever you receive, be it a hat, a job, or a ride to the airport, receive it with appreciation. Because the heart of itadaku is a thankfulness for the things you've been given and a determination to make the most of what you have.